The cataloguing of the first series of the Opie Archive, which comprises children’s papers, as well as related correspondence from school teachers, has now been completed. The catalogue is available to search online here. The material in the first 13 boxes spans most of the 1950s, during which time, Iona and Peter Opie were working on their book, The Lore and Language of Schoolchildren, which was published towards the end of 1959. They began by placing an advert in the Times Educational Supplement, seeking teachers willing to assist in their research. Those who responded, soon put the Opies in touch with further colleagues in other schools, until they had recruited a wide network of enthusiastic teachers across the country. In order to keep track of their dizzying number of correspondents, the Opies kept meticulous notes in a series of small address books, in which each contact was assigned a reference code. The material in the first 13 boxes is, therefore, arranged in order of the reference codes of those contacts who had sent in each batch of papers. The subsequent 20 boxes, following the publication of The Lore and Language, date mostly from 1960 onwards. From this point, the material is instead arranged alphabetically, by the area the material had come from – from Aberdeen to York. The papers, often accompanied by colourful illustrations, list the children’s favourite counting out and skipping rhymes, describe games such as ball games, chasing games and marbles, explain slang terms and expressions currently in use, recount the latest playground fads and crazes, and outline various traditions, superstitions and other playground lore that have been passed down to them. Some of the games described would make modern-day readers flinch, such as the popular game “Knifey”, which involves throwing a pocket knife to stick in the ground near the opponent’s leg. The children’s papers are usually prefaced by a note from their teacher, often apologising for spelling mistakes in their pupils’ work, and sometimes recalling their own childhood songs and games. The teachers’ insights are often particularly interesting, such as when one teacher observes that the few English-language songs and rhymes known to the children in their predominantly Welsh-speaking school in Ruthin, north Wales, appear to be the legacy left by children from Liverpool, who had been evacuated there during the war. The series also includes a sub-section of material received from sources other than schools, such as from fellow researchers working in the same field as the Opies, or a collection of local rhymes and songs from across Scotland, gathered by the editors of the Aberdeen Press and Journal newspaper. This section also includes ten boxes of children’s essays submitted to the Camberwell Public Libraries Essay Competition, passed on to the Opies by Camberwell’s Chief Librarian. These competition entries provide a fascinating glimpse into the children’s thoughts and lives. 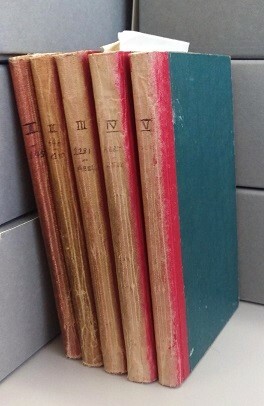 The essays are very clearly rooted in their time, which is apparent not only through the 1950s and ’60s hairstyles and fashions, discernible in some of the charming, childish illustrations, but also in the children’s responses to essay topics such as “What I want to be when I leave school”, in which all the girls aspire to be nurses, dressmakers and typists, while their male counterparts seek to become firemen, policemen and train drivers. Other interesting responses were elicited by the 1955 essay title “A visit to the moon” – some children setting their stories firmly in the realm of fantasy, imagining being transported to the moon by fairies or goblins, while others wrote of rocket ships, but set their stories in the far distant year 3000, little imagining that the moon landing could become a reality in just over a decade’s time. Shiny, new, archive boxes, all labelled up and barcoded! To begin with, the bundles of papers were mostly still packaged in the same old, brown envelopes in which they had been stored by the Opies. 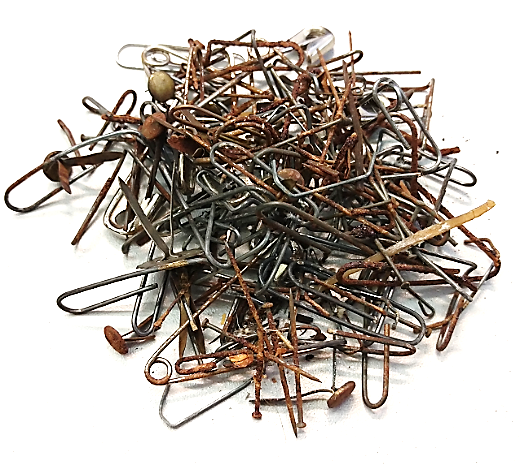 Part of our task, in order to preserve the material long-term, was to remove all the harmful fasteners that could cause damage to the papers over time, such as rusty paperclips, pins and staples, as well as brittle, dried-up elastic bands. The papers could then be repackaged into standard, acid-free archive folders and boxes. In those instances where whole batches of papers had been folded or rolled up within their envelopes, the process of unfurling and flattening them to lie safely and neatly in their archive folders, was rather time-consuming. Our final task was foliation – which means physically numbering all the individual leaves (or “folios”) in each box, in pencil, so that the original order of the pages will never become muddled. The foliation process demanded sustained concentration, as it was all too easy to either miscount or accidently skip a page, especially given that the leaves in each bundle were all different sizes. Once such an error is discovered, all the subsequent numbers in the sequence are then, of course, likewise out of sync – a highly frustrating occurrence which we sought to avoid! In total, we numbered over 24 and a half thousand leaves across 46 boxes. The Opie cataloguing project is generously funded by the Wellcome Trust. While the catalogue of this first series has now been completed, please note that work on the remaining Opie Archive is still ongoing, and sequences of the Opie Archive will continue to become temporarily unavailable whilst preservation, cataloguing and digitisation work is being carried out. We will try to accommodate urgent researchers’ requests for access wherever possible, however, if you need to consult material from the Opie Archive before June 2018, please do ensure that you contact us with as much advance notice as possible, so that we can advise on the availability of the material in question and make any necessary arrangements.